Looks like you're from the United States. Right now, you are on our site for South Africa. New frequency bands below and above 6 GHz, promising globally available frequency ranges with the principle ones being: 3.4 to 4 GHz and 26 to 29 GHz. These characteristics have an impact on the signal propagation and consequently increase the need for accurate coverage measurements to enable and verify correct 5G NR network planning and the rollout of base stations. Before network rollout (pre-installation phase): 5G NR network measurements in a pre-commercial network trial are the only way to provide insights into the performance of the new technology and to overcome uncertainties before commercial launch. At commercial network rollout (installation phase): 5G NR network measurements verify 5G NR network planning and site installation, for example to determine if the planned cluster and network coverage will be successful. In network optimization phase: 5G NR network measurements can verify the handover areas between sites, cells and beams and at the same time limit the interference between cells to increase the provided capacity. Trouble shooting: 5G NR network measurements help find root causes of potential problems in networks, e.g. coverage holes, high interference causing too low capacity, etc. Benchmarking: 5G NR network measurements will also support benchmarking campaigns in the future in order to compare different operators’ 5G NR networks. This 5G NR test solution is based on the field-proven R&S®ROMES drive test software for measuring network quality with scanners and test smartphones and covers all cellular technologies. In combination with the scanners R&S®TSME6 and R&S®TSMA6, R&S®ROMES offers the first 5G NR network measurement solution that measures true 5G NR network coverage. The solution also verifies the impact of beamforming for synch signals and broadcast channels. R&S®ROMES drive test software is designed to connect 5G NR USB dongles or other pre-commercial devices to monitor the 5G NR device / network interaction and execute UL tests. It is a universal network optimization tool for collecting and analyzing 5G NR data. 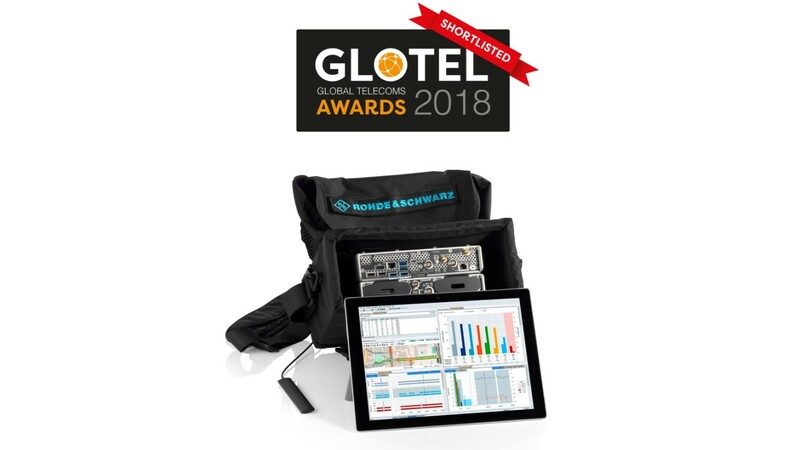 This Rohde & Schwarz 5G NR network measurement solutions has been shortlisted for the Global Telecoms Award 2018 in the 5G category called “Advancing the road to 5G”. For more detailed information, see our press release on the world’s first 5G NR network measurement solution. 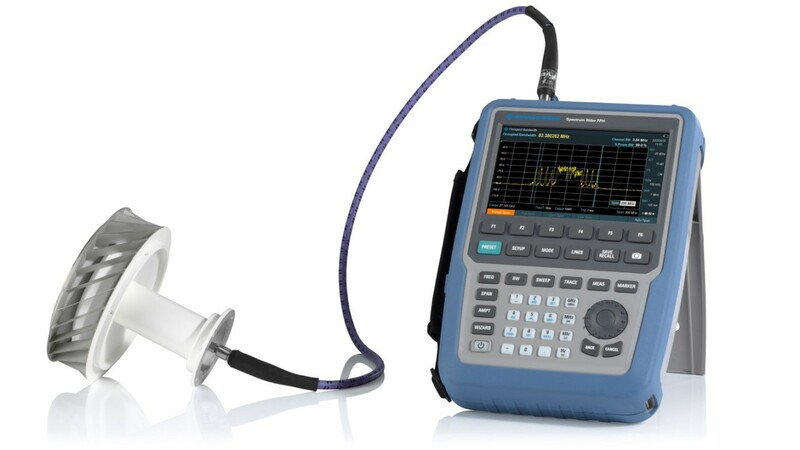 The R&S®Spectrum Rider FPH handheld spectrum analyzer’s frequency coverage up to 31 GHz combined with features such as 6 hour battery life, low weight (2.5 kg), backlit keypad, fast boot time, non-reflective display and ruggedized housing make it optimized for field spectral measurements of 5G signals. The R&S®FPH combined with an appropriate antenna can make over-the-air 5G measurements including occupied bandwidth, spectral emission mask and channel power, thus making it capable of verifying 5G transmissions. With frequency coverage to 31 GHz, the R&S®FPH’s can also be used for spectrum clearance and interference hunting in new 5G bands. 5G NR network rollout is now – let’s test! The 5G NR standard (3GPP Release 15) contains a high degree of flexibility in radio parameters which complicates network measurements. However, Rohde & Schwarz has already conducted measurements in pre-commercial 5G NR trial networks with our commercially available 5G NR network measurement solution. We gained interesting insights into the new technology’s performance, capabilities and frequency bands. This is part four of our 5G blog post series. Signals Research Group relies on the prototype measurement system designed by Rohde & Schwarz to meet the aggressive timeline of early 5G adopters. In a Verizon Wireless 28 GHz trial network R&S®TSMA autonomous drive test scanners were used to collect downlink performance metrics for the beam reference signals (BRS), including RSRP, CINR, RSRQ, PCI, etc. This is part three of our 5G blog post series. The US operator Verizon Wireless targets fixed wireless access (FWA) in the 28 GHz frequency band. Together with partners, they created a pre-5G specification called 5G Technical Forum (5GTF). For the required signal quality and 5G coverage measurements, Verizon Wireless relied on our prototype measurement backpack solution. This is part two of our 5G blog post series. 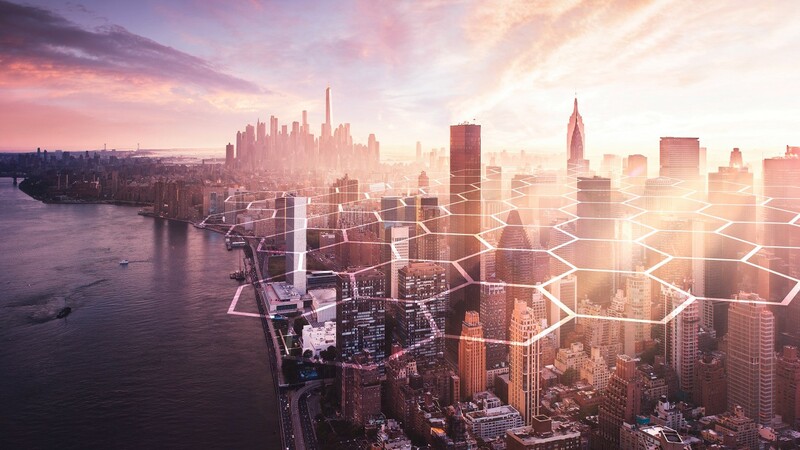 Long before commercial 5G services are even available, a myriad of articles, reports, presentations and speeches have been made public – creating a big buzz and high expectations surrounding the new standard. What’s the role of mobile network testing on the path to 5G? How can scanner measurements help operators pave the way to the next generation of mobile networks? This is part one of our 5G blog post series. Interview: Quality of Experience in 5G? Rohde & Schwarz MNT already hold a reference position in the market for measuring QoE of mobile networks. The emergence of 5G brings new use cases and services. Hanspeter Bobst (Vice President R&S MNT) discusses in an interview with The Mobile Network on MWC2019 how QoE in 5G will be different and that test approaches have to be adapted. Webinar: 5G NR network deployment is now - let’s test! This webinar considers how to ensure efficient and predictable 5G NR rollout, identifies the technical fundamentals and defines a test approach to deliver the required network performance. Real 5G NR network measurement results of coverage and operation of beamforming from a pre-commercial field trial are shared. This video shows the recently launched 5G NR network measurement solution that consists of a network scanner and the ROMES software for real-time analysis and network optimization. How does SSB beamforming work in field? This video discusses how beamforming for synchronization signals and broadcast channels works in 5G NR. It contains a replay of real field data collected in a pre-commercial 5G NR network trial. Demystifying 5G - How does 5G NR devices identify the network? Without an LTE connection, there is no 5G NR connection possible. This video explains why a UE (supporting LTE and 5G NR) in 5G NR non-standalone mode always requires an LTE connection as anchor. Learn how a UE is identified to be “5G NR capable” via an LTE base station and is informed where to search for a 5G NR base station (gNB) signal. The video demonstrates how to perform 5G NR network measurements at 3.5 GHz. In the example shown, the R&S®SMW200A vector signal generator generates a 5G NR signal. The captured RF measurements are visualized with the R&S®ROMES4 drive test software that supports real-time network analysis, optimization and troubleshooting. R&S®ROMES4 is highly configurability allowing to customize the views according to the user’s needs. This video explains how easy it is to configure the R&S®TSME6 network scanner. The scanner supports two modes: The simple mode has all standard-compliant settings prepared for identifying cell-defining SSBs. The R&S®ROMES expert mode allows to freely configure the 5G NR scanner to also measure gNB signals that are not part of the global synchronization channel number (GSCN) raster. This application note describes the highlights of 5G NR network analysis in pre-commercial trials and early deployments and introduces the functionality of the R&S®TSMx6 mobile network scanner family together with R&S®ROMES4 and R&S®SmartAnalytics software. 5G, the next generation wireless standard, promises to deliver an enhanced end-user experience by offering new applications and services through extremely high speeds and significantly improved latency. To verify fundamental 5G NR downlink parameters such as occupied bandwidth and SSB channel bandwidth, a handheld spectrum analyzer can be used and this application card describes the process for doing so. Interference that can degrade capacity and quality of service is becoming ever more troublesome as operators roll out 5G NR using new bands that previously contained other services. This is particularly important for the rollout of 5G NR because of its demanding use cases and high spectral density. This Application Card describes the challenges of spectral clearance and details the process of automatic detection of interference signals using a network scanner and drive test software. Be ahead in 5G with test and measurement solutions from Rohde & Schwarz. Use our form below to register and receive your free "Demystifying 5G NR Poster" by post. In addition to 5G NR network testing, Rohde & Schwarz offers 5G NR test solutions for the R&D and production phases of chipsets, devices and network infrastructures. For more information, visit the main Rohde & Schwarz 5G web page. 5G Broadcast is an exciting application of 5G technology that offers operators huge capacity and coverage advantages; translating into better QoE for mobile subscribers and providing consumers with near-instantaneous delivery of content wherever they are. For more information, visit the Rohde & Schwarz Broadcast and Media 5G broadcast web page.